One of the leading causes of death worldwide is cardiovascular diseases. It is said to claim a life every 42 seconds. And the top factor contributing to heart ailments is high levels of cholesterol. High cholesterol level is usually a result of bad nutrition with lack of exercise. A slight change in diet habits and adopting some healthy nutrition on the plate works wonders when it comes to getting cholesterol levels under control. 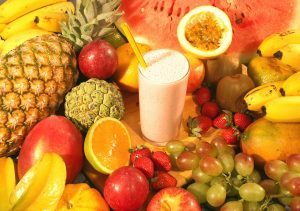 The diet tips mentioned below not just control cholesterol level, but also strengthens the heart, while preventing arterial clogs. Your blood pressure parameters stay on check too. These cardio-vascular conditions get benefitted too. Take a look at the below diet tips that help in controlling the cholesterol levels. These foods will increase HDL (high-density lipoproteins) cholesterol levels or “good cholesterol” and cut down LDL (low-density lipoproteins) cholesterol levels or “bad cholesterol”. A high cholesterol level has often been associated with magnesium deficiency. Magnesium is rich in Statin that controls two enzymes responsible for the production of higher levels of cholesterol. 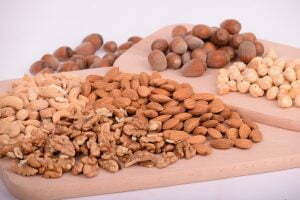 Foods high in magnesium content – almonds, cashews, walnuts, peanuts, tofu, millet, rye, and dark chocolate. Vitamin C is a very good option to reduce bad cholesterol. A clinical study has shown that an increase in Vitamin C intake has significantly decreased LDL cholesterol and triglyceride concentrations. Foods high in Vitamin C content – Cabbage, cauliflower, broccoli, sweet potatoes, kiwi, papaya, pineapple, strawberries, and citrus fruits. These are great to be included in the everyday diet (in moderate amounts) when it comes to maintaining a good cholesterol level. 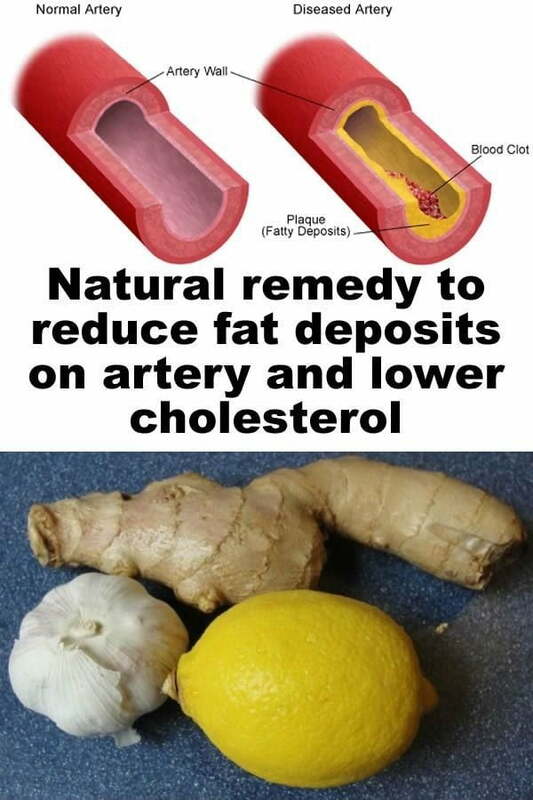 It also prevents clogged arteries. A certain clinical study conducted with 24 adults having high blood cholesterol concluded that a rich monounsaturated fat diet increased their HDL (good cholesterol) by 12%. These are healthy fats as they decrease the LDL cholesterol levels and harmful oxidation while increasing HDL levels. Foods rich in monounsaturated fat content – Canola Oil, Olive oil, cashew nuts, walnuts, almonds, hazelnuts, pecans, and avocados. These are also known to reduce bad LDL cholesterol, thereby reducing heart disease risk. There have been quite a few studies where saturated fats diet have been replaced by polyunsaturated fats to see the results. One such study involved a group of 115 adults whose saturated fats diet got replaced by a special diet rich in polyunsaturated fat for a span of 8 weeks. By the end of the research, the LDL cholesterol levels were reduced by 10%. 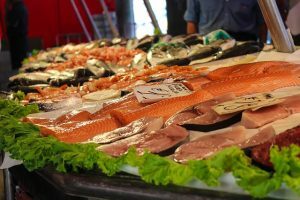 Foods rich in polyunsaturated fat content – Omega-3 fatty acids found in seafood and fish oil supplements. These are a winner when it to comes to reducing cholesterol levels naturally. It is already known that whole grains reduce cholesterol level while improving heart health. 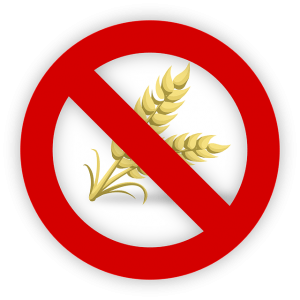 But gluten, usually present in whole grains, have inflammatory properties that irritate the gut lining. The safest bet is to opt for a gluten-free diet comprising of brown rice, quinoa, amaranth grain or millet. 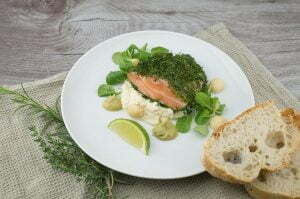 Fish is a very good natural source to maintain the cholesterol levels. Good fats are found in fish like mackerel, tuna, trout, herring, salmon, bluefish, sardines as they are rich in omega-3 fatty acids. Consumption of these fish reduces triglycerides and prevents the development of any cardiovascular diseases. But if you don’t eat fish, just pop in a fish oil capsule every day. These supplements are rich in EPA and SHA (types of omega-3 fatty acids).If clams are your thing, you are in for something good. These are rich sources of sterols and prevent your body from absorbing cholesterol. 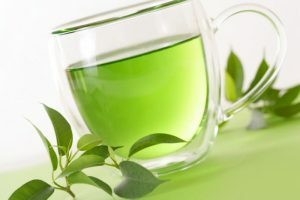 Green tea is rich in Catechin and anti-oxidants is very good natural sources to lower LDL cholesterol levels. It boosts the production of HDL or high-density lipoprotein that is the good cholesterol. 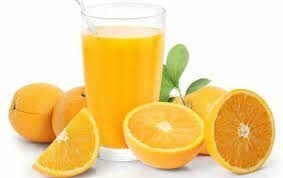 Orange juice has multiple health benefits. Lowering unhealthy cholesterol levels is one of its key functions. 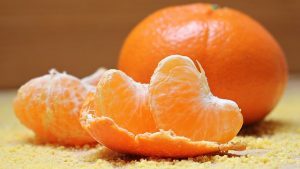 A study conducted on a group of participants found out that having 3 glasses of orange juice a day increased HDL levels by 21% while reducing the LDL/HDL ratio by 16%. A glass of freshly squeezed orange juice every day will prevent the development of LDL cholesterol levels. It is believed to have positive effects in lowering cholesterol levels. 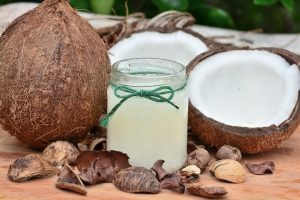 There was a study conducted on rats to test the impact of coconut water on cholesterol. After a certain period of time, it was found that there was a significant fall in the levels of blood cholesterol and triglycerides. relaxes the artery muscles preventing the formation of arterial plaque. This, in turn, regularises blood flow to the heart, thereby reducing blood pressure and cholesterol levels. Sip on a glass of juice every day. Juice made from cucumber, beetroot, basil, wheatgrass or carrot is highly beneficial in controlling high cholesterol. Being rich in plant sterol and fibers, Nuts are a good natural option to lower high cholesterol levels. These crunchy bites can be savored any time of the day. 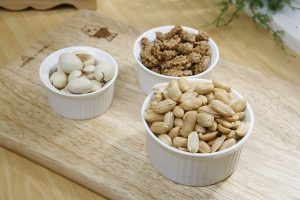 Walnuts, almonds, peanuts, hazelnuts, pistachios, pecans & other nuts and seeds are found to have beneficial effects on cholesterol levels. However, walnuts need a special mention as these nuts are the best source to lower cholesterol and triglyceride levels. Oatmeal works like real magic when it comes to being healthy. It is a rich source of soluble fiber that lines the intestine like a gel preventing the absorption of unhealthy fats from food. 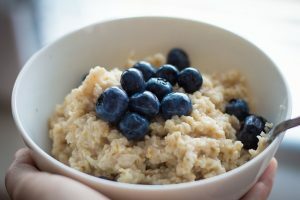 Eat about 1 1/2 cups of oatmeal a day to reduce LDL levels by up to 24%. Coriander seeds have a lot more health benefits that can be imagined. A 1999 study showed that a high level of antioxidant enzymes in dry coriander seeds triggered its ability to improve cholesterol and lips levels. It reduces LDL levels and triglycerides while increasing levels of HDL cholesterol. 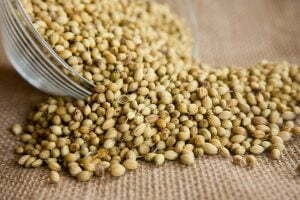 How can you use coriander seeds to improve your cholesterol levels? Boil a cup of water with about 2 tsp. of coriander seed powder. Strain and drink the power concoction twice a day. Garlic is another natural source to nip down bad cholesterol levels. 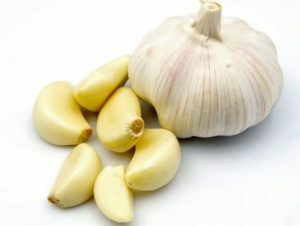 Add a few cloves of garlic to your diet on a daily basis to lower cholesterol. Foods with added sugar and refined carbs mess with the cholesterol ratio. It decreases the levels of good cholesterol in the blood. Too much of alcohol, caffeine, and trans-fats only adds to LDL cholesterol levels. Heart ailments and high cholesterol also come from a family history of these diseases. Old age also is considered as another factor. Keep your cholesterol levels on the check at regular intervals and go for tests and follow-ups with a cardiologist. Find Best Cardiologists near you and Book an Appointment Online.